The end of the calendar year brings a natural motivation to re-evaluate progress made on goals and ambitions for the future. Your employees may be developing professional resolutions for the new year. As an organization, your golf course may be determining how to best administer year-end reviews. Despite the desire for improvement, both managers and employees tend to dread performance reviews and the anxiety associated with them. However, these conversations present opportunities for you and your employee to set goals and agree on areas for improvement. By using the following strategies, your year-end reviews can be painless and have lasting benefits. Setting up expectations for your year-end reviews can help reduce your employees’ anxiety. What do you plan to discuss? Will they have a chance to evaluate you? Providing a brief meeting agenda in advance should help your employees become comfortable with the process. You might consider asking your employees to evaluate their past performance before the review. By doing so, they may gain a clear perspective of their own strengths and weaknesses and be better prepared to discuss areas for improvement. Or they may learn something about their own performance they didn’t know. Addressing your employees’ performance shortcomings can be difficult, especially if you are friends with members of your staff. Matt Straz, founder and CEO of human resources management software Namely, shared tips for providing negative, yet constructive, feedback to employees with Entrepreneur Magazine. Discuss the objective issue, not the person. The focus of each weakness should be on ways to correct the mistake. Show the numbers. Back up critiques with specific data or examples in case the employee’s memory – or ego – gets in the way. Reaffirm faith in the employee. Assure them you are confident they will succeed. Keep your critiques clear and to the point to avoid misunderstandings. 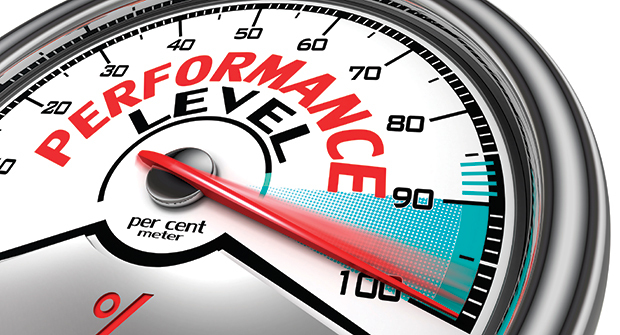 The purpose of the performance review is to establish ways your employees can improve. With every weakness you bring up to the employee, discuss tangible ways he can make progress. Whether employees are your top-performer or have some improving to do, you – or the golf course you manage – hired them for a reason. The end of the year is a great time to leverage them. During each performance review, give the employee an opportunity to provide their responses to the following questions. Did we fall short of any of your expectations? How the organization can improve in the coming year? What ideas do you have to improve our grounds maintenance? Your employees may provide invaluable insight, and having input will give them a feeling of investment in the course’s success. While the end of the year is an ideal time to discuss challenging and clear goals, the conversation should not stop there. A regular dialogue is necessary to following up on plans established in the year-end review. Taking the time to administer year-end reviews shows your employees you are invested in their success, as much as the golf course’s.